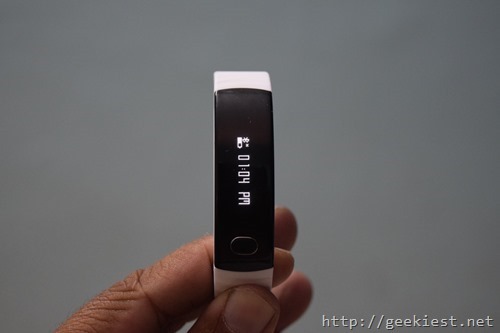 Earlier we have covered a post about the new affordable Fitness band with display and incoming call notification from Intex names FitRist, Intex Fitness Band Fitrist with an OLED display, Notifications and a Camera Trigger for INR 999. We ordered one and received it few days back. Here we will give you a few hands on images and howtos. 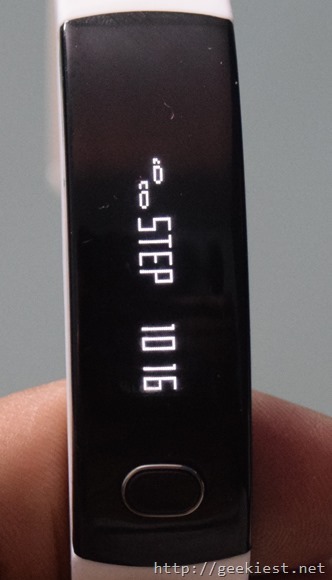 First thing you need to do after receiving the device is to charge the device at least one hour, it will not turn on unless you connect it to a charger. You need to install the Intex FitRist app from the play Store, use this link or scan the barcode in the user manual. Now you will be able to see the device on your mobile device and pair it. Use synchronize option on the mobile application to correct the date and time shown on the Intex FitRist. 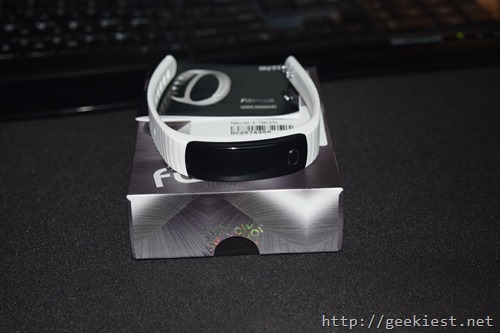 When you paired the device with your mobile device and you are outside the Bluetooth range, the FitRist will vibrate to remind you about the device. 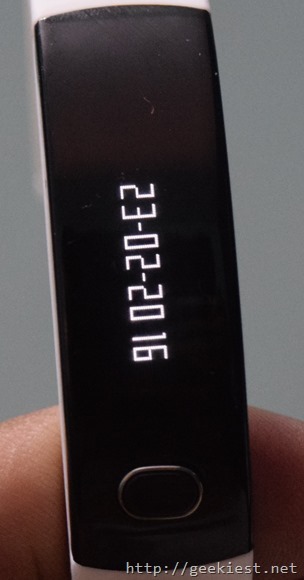 If you want to find your mobile device, just press and hold the button on the fitness band, phone will give you an alert sound. 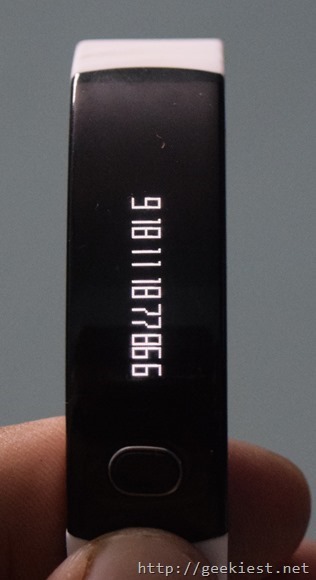 When there is an incoming call, the band will display the phone number (Remember it will not display the name of the caller which you saved, it will just display the phone number). SMS will be alerted by vibration (no display). 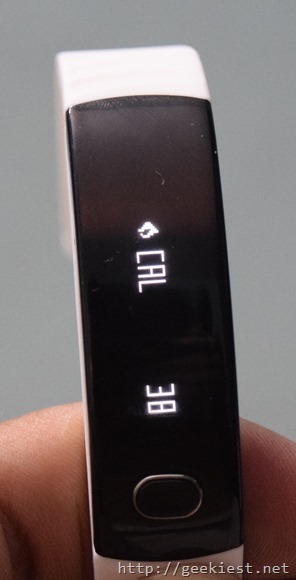 I have seen many complaints about the mobile application getting disconnected with the FitRist band. I have not experienced this, what I believe is that the people who are complaining this might have used the back button twice to came out of the application, which will close the app. What you need to do is use the center button to go back to the home screen so that the Intex FitRist mobile application will run in the background. 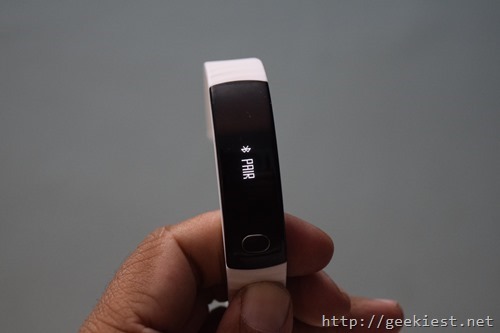 We will get back to you with more details and comparison with mi Band and more.